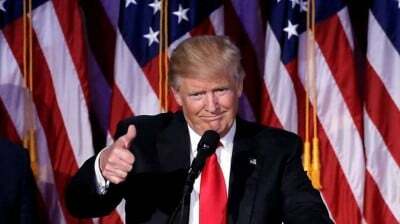 In summarizing environmental issues from the previous year, I would like to say that Donald Trump’s wining of the presidential race was the most significant eco-event of 2016. And all other events, regardless of their apparent importance (from the merger of GMO giants Bayer and Monsanto to the United Nations Climate Change Conference in Marrakesh) pale in comparison when you imagine the possible consequences. But Pruitt is only the tip of the iceberg. Trump’s relationships with brothers David H. and Charles G. Koch, American tycoons and key sponsors of far-right wing of the GOP, in particular the Tea Party movement, bring more sense in understanding his “environmental agenda.” They uphold libertarian “anarchist and capitalist” views and believe that the role of government in all social areas, including environmental protection, should be minimized. Being worshippers of the oeuvre of Ayn Rand (Atlas Shrugged) and economist Friedrich von Hayek (The Road to Serfdom), the Koch brothers dream of a society with the ruling “invisible hand of the market” and “entrepreneurial genius.” In this worldview, genuine businessmen are “the heroes of the present-day Wild West.” Such problems like the greenhouse effect, groundwater contamination during shale gas extraction and harm from GMOs should not worry them any more than the fate of the American Indians worried the Old World colonists. Newly elected US Vice-president Michael Pence’s ties with the Koch brothers have been widely covered in the US Mass Media. But one should not forget Michael Pompeo, a Republican and a member of the Tea Party whom Trump appointed as CIA Director. A congressman from Kansas, Pompeo was one of the central figures for a lobbying campaign by Koch Industries, Inc. and Monsanto against mandatory GMO labeling in the United States. A philosophy is, among other things, a system of thought that governs conduct. But in the original Greek it meant "love of wisdom" - and we need all the wisdom we can get to face the implications of global climate change. Several new philosophies have developed in response to the worsening environmental crisis, and among the most interesting is something called "deep ecology." It calls for nothing less than a complete overhaul of the way humans live on the Earth. Deep ecology is not without its critics, nor its competitors. And like any radically new way of thinking, it raises more questions than it answers. But since every major change of direction in humanity's recent history has been supported - or ignited - by a new philosophy, its appearance is a very hopeful sign. Michael E. Zimmerman is Professor of Philosophy at Tulane University, New Orleans, and was recently named to the Chair of his department. He has written widely on technology and the environment and recently completed a second book on the work of Martin Heidegger. In our issue on militarism (IC #20), he wrote on the distorted mythologies that drive the arms race and the new mythologies we must develop to achieve "something other than war." Recently Michael was in Seattle to deliver a lecture on deep ecology to philosophy students at Seattle University. We took the opportunity to speak with him about deep ecology, its relationship to ecofeminism, the mystery of postmodernism, and how a philosophy might change the world. Alan: What is "deep ecology?" Michael: Deep ecology is an environmental movement initiated by a Norwegian philosopher, Arnie Naess, in 1972. He wasn't the first to dream up the idea of a radical change in humanity's relationship to nature, but he coined the term "deep ecology" and helped to give it a theoretical foundation. Deep ecology portrays itself as "deep" because it asks deeper questions about the place of human life, who we are. Ecosophy, and ecophilosophy, are neologisms formed by contracting the phrase ecological philosophy. Confusion as to the meaning (suggesting that such a meaning should be singular and exact) of ecosophy is primarily the consequence of it being used to designate different and often contradictory (though conceptually related) concepts by the Norwegian father of Deep Ecology, Arne Næss, and French post-Marxist philosopher and psychoanalyst Félix Guattari. While a professor at University of Oslo in 1972, Arne Naess, introduced the terms "deep ecology movement" and "ecosophy" into environmental literature. Naess based his article on a talk he gave in Bucharest in 1972 at the Third World Future Research Conference. As Drengson notes in Ecophilosophy, Ecosophy and the Deep Ecology Movement: An Overview, "In his talk Naess discussed the longer-range background of the ecology movement and its connection with respect for Nature and the inherent worth of other beings." Naess's construction of a Nature which sits outside the human sphere of culture, and furthermore his preference for 'natural' values over cultural (particularly Western) values demarcates him as a dualist - which sharply contrasts with the alternative construction of ecosophy outlined by Guattari. By an ecosophy I mean a philosophy of ecological harmony or equilibrium. A philosophy as a kind of sofia (or) wisdom, is openly normative, it contains both norms, rules, postulates, value priority announcements and hypotheses concerning the state of affairs in our universe. Wisdom is policy wisdom, prescription, not only scientific description and prediction. The details of an ecosophy will show many variations due to significant differences concerning not only the ‘facts’ of pollution, resources, population, etc. but also value priorities.